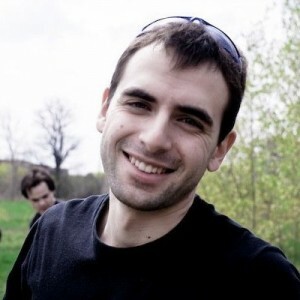 Boris Issaev is a co-founder of Parkbus initiative, the bus network connecting Toronto and Ottawa with national and provincial parks in Ontario. This project was launched in 2010, bringing together private and public stakeholders and rapidly growing to its current phase with 6 participating parks including Algonquin, Killarney, French River, Grundy Lake, Bruce Peninsula and Lion’s Head. Boris is an avid outdoorsman and traveller, having visited over 30 countries and dozens of parks from Denali to Himalayas. He is currently completing International Masters of Business Administration at the Schulich School of Business and also holds a degree in Computer Science. To me Think Outside means not being bound by processes or assumptions that our surroundings sometimes impose on us, and instead creating brand new things from own convictions and own first-hand observations. Stargazing. Because nothing puts our busy lives into context better than the solitude of nature, and the billions of stars in the universe of which our world is a tiny speck in space and time. I am fascinated with optimization - whether it is traffic flow, backpacking expeditions or computer programs - I always look for ways to make things more efficient. Start small, but aim high. This was the advice I received when we were starting Parkbus - to build up the success on top of previous smaller successes. This has been essential in getting Parkbus, along with several other of my projects off the ground and ultimately successful. I wish people recognized that reacting to a change is becoming simply too late in today's world - instead, one must be proactive in anticipating the changes, and that is what can turn challenges into opportunities. That's quite vague, but that's probably as much as I can say without revealing the theme.